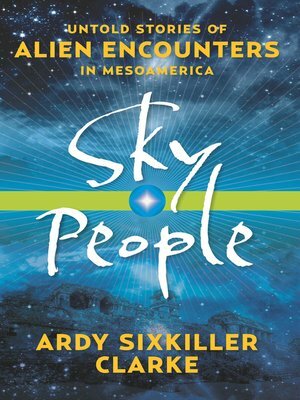 Dr. Ardy Sixkiller Clarke, author of Encounters With Star People, vowed as a teenager to follow in the footsteps of two 19th-century explorers, John L. Stephens and Frederick Catherwood, who brought the ancient Maya cities to the world's attention. Dr. Clarke set out on a seven-year adventure (from 2003 through 2010) through Belize, Honduras, Guatemala, and Mexico, collecting stories of encounters, sky gods, giants, little people, and aliens among the indigenous people. She drove more than 12,000 miles, visiting 89 archaeological sites (Stephens and Catherwood visited only 44) and conducting nearly 100 individual interviews.